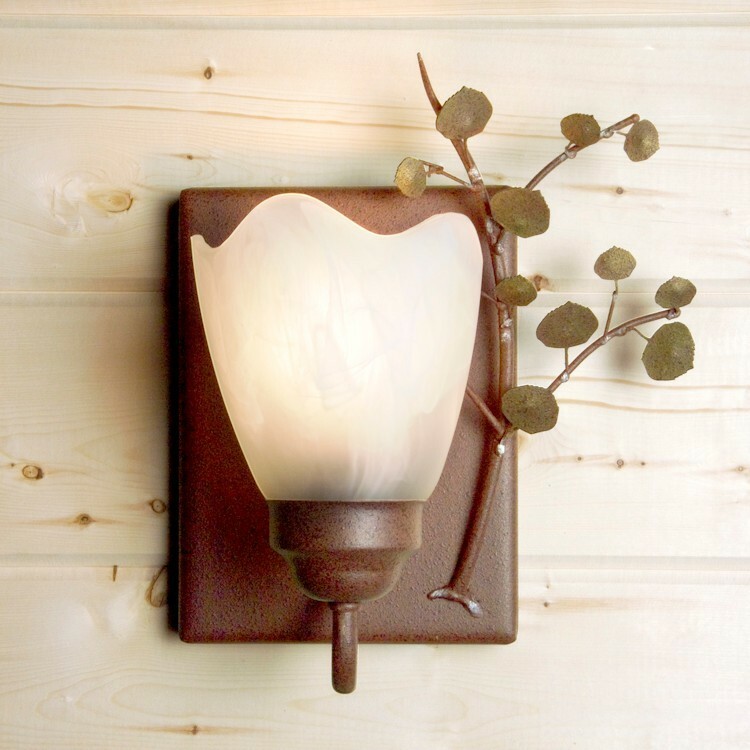 Our Aspen Sprig Wall Lamp features a 3-D aspen sprig and alabaster glass shade. This petite light is great for a small bath or as an accent light in any small space. Choose either rust or black finish and right or left position aspen sprig.